Anyone who uses a computer, a smartphone or any other mobile device would need to think seriously about protecting data. Computers and such devices naturally have lots of data stored in them- documents, pictures, banking passwords, credit card data, notes, emails etc. There are always chances that anyone using a system, smartphone or a mobile device could knowingly or unknowingly end up making such data vulnerable. The data could be stolen by hackers who could attack the system/device using malware. Similarly, if a smartphone/mobile device is lost or gets stolen, the data in it could fall into wrong hands and get misused, causing damages to the user. Hence, it’s always advisable to practice data protection recommendations, which is much more than just having a free antivirus installed on the system/device. Here’s a look at the best practices that could help protect data from cyber threats. Having an antivirus program installed isn’t enough, it’s important that the antivirus is regularly updated. Otherwise, it won’t be effective. It’s the updated version of the antivirus that’s needed to protect a system/device against latest threats and vulnerabilities. Thus, it’s important that the antivirus- free antivirus or paid- is updated regularly. The operating system that you use and the many other software applications that you’d be using need to be updated regularly to prevent vulnerabilities and to protect data. It’s to be remembered that the WannaCry ransomware, which spread globally and caused much damage, had infected systems that hadn’t updated the Windows 7 OS. It’s also advisable to enable automatic updates so that it happens regularly without fail. Proper password management is key to securing systems/devices and protecting data. Ensure that everything is password protected and that all passwords are strong ones- ideally a mix of alphabets, numbers and special characters and not easy to guess. Similarly, it’s always good if the same or similar passwords are not used for different accounts or files. There should also be a practice of changing the password at regular intervals. Using best firewall is vital to securing systems and data; firewalls work as protecting shields between a system and the internet and helps a lot in blocking hacks and data breaches. 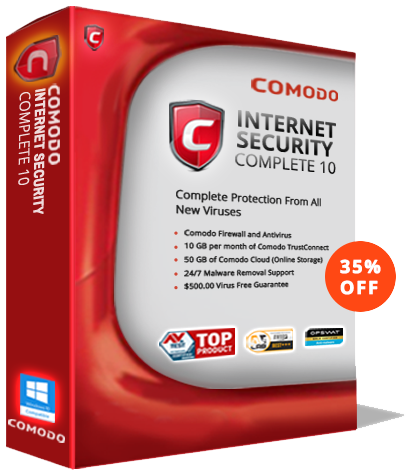 Similarly, all necessary internet security software need to be used, based on the specific requirements. Avoiding public, untrusted Wi-Fi connections would be good as far as protecting data is concerned. Hackers can easily use a public, unsecured Wi-Fi network to gain entry into any system or device connected to the network and then get away with all the data in the system/device. This could include login credentials of social media profile, bank account logins, credit card data etc. It’s always best to avoid visiting prohibited sites or websites without HTTPS. Such sites could expose a system/device to malware and cyber criminals, which could eventually lead to data breaches. This is one of the most important things to be done. Keep a backup of all data, especially sensitive and critical data. This could help when there is a crash following a cyber attack and also when a device is lost or gets stolen. The backup can be done on an external hard drive, portable storage device or the cloud. It’s also important that the backup is regularly updated. In the worst case scenario, if a data breach happens, it’s always good to have a data recovery software. There are many brands available, but ensure that the one chosen could help recover the data completely and safely.